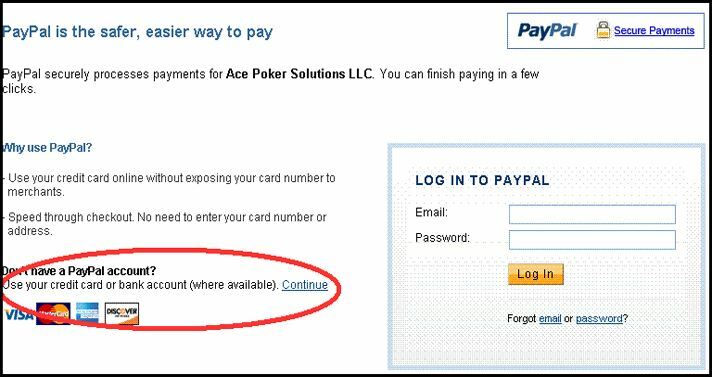 When you click the Buy Now button above you will be taken to PayPal's website to pay for the Ace Poker Drills poker training software. PayPal is one of the worlds leading online payment solutions. You will be able to pay using your Credit Card and DO NOT need a Paypal account. If you are going to use your Credit Card you will need to click on the Continue link (highlighted below) and then enter your Credit Card details into their secure website. If you would prefer an alternative payment method please contact us and we will do our best to accommodate your request. 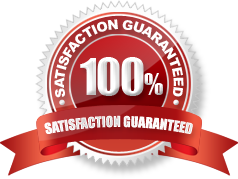 Simply complete the Contact Us form. 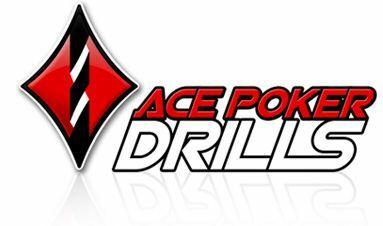 We encourage all users to take advantage of our free trial before buying AcePokerDrills. 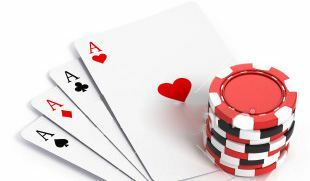 Once you have purchased Ace Poker Drills, if you contact us at support@AcePokerDrills.com requesting a refund BEFORE you have used your registration code OR within 14 days of purchasing we will issue a full refund. If more than 14 days have passed since your purchase we do not offer refunds for any reason.